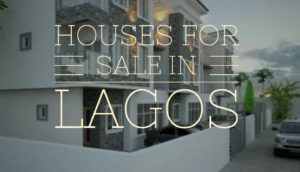 Lagos State is one of the best places to own a house. The state is a hub of economic activities. Not only that, but it is also a place filled with a lot of entertainment centers. There are many other benefits of owning a home in Lagos. When people plan on having a home in Lagos, one of the main options they opt-in for is buying a house in the state. This is a reason why it is not so surprising seeing so many real estate websites in the country. When buying a house in a place like Lagos State, a great number of people buy homes at exorbitant prices. They overpay, and most times regret their actions. I guess the reader is looking forward to getting a home in Lagos or some other part of the country. If this is so, the reader dare not leave this article without consuming the whole content. I am well aware of the fact that my first tip will be undistinguished to some readers. However, my reason for having this tip as my first is that it is very important in having the best deal, but a lot of people underestimate its value. Staying calm when buying a house is very important as it saves you from taking wrong actions. There are many ways in which this tip helps, but most of them are subtle. Until you implement this tip will you begin to understand the importance of staying calm when buying a home? A mistake a lot of buyers make is a failure to research a house and its market when trying to buy it. When a buyer spots a house that meets up with their requirement, the first thing for them to do is to research the house. How does one research a house? Researching a house is as simple as finding information on how long the house has been listed for sale, the reason why the buyer wants to sell a house, and other related information. For instance, information on how long a house has been listed can let you know if an owner has been unable to sell their house for a long time. If an owner has not been able to sell their house for a long time, the probability of then selling the house at a subsidized price is very high. Furthermore, information like the reason why an owner wants to sell their house will help a buyer know if they can exploit the owner’s reason. Now that, you know this, never sit down for a house deal unless you have already done extensive research on the house. It is a very common thing to see people fall in love with things they want to buy. This also happens to a lot of people when trying to buy a house, they fall in love with houses, and this often leads them to make the worst of deals. When buying a house, it is very important to keep feelings out of your way. Refusal to do this can result in a buyer’s feelings affecting their decisions. For instance, a buyer loves a house, and they can’t help hide their attraction to the house. The owner senses the buyer’s excitement and decides to exploit it. The owner asks for a price significantly higher than an ideal price. Owing to the love the buyer has developed for the house, their ability to make a right decision gets affected, and they succumbed to the owner’s asking price or something still significantly higher.